Española is a city primarily in Rio Arriba County, New Mexico, in the United States. The city is situated in an area Juan de Oñate declared a capital for Spain in 1598. On the 11th of August 1598, 1500 Indians helped the Spaniards construct an irrigation ditch for a planned city to be called “San Francisco”, the main caravan arrived on the 18th at San Juan de los Caballeros, the chosen place for the capital of Nuevo Mexico. The more common name used was “San Juan Bautista”. The Española area (known as the 'San Juan Valley' to the early Spaniards) is also known as the first European-founded capital of the 'New World.' The region was explored In 1598 by Don Juan de Oñate. He declared the area a Capital for Spain, the area of Don Diego de Vargas' new villa at Santa Cruz. Oñate arrived in the Española area on July 11, 1598, at the confluence of the Chama River and the Rio Grande, where he established a camp at a place then called Yunque-Yunque; known today as Ohkay Owengeh Pueblo. He created a Spanish settlement in an area already inhabited by the indigenous descendants of the Anasazi. Española was referred to as 'La Vega de los Vigiles' (Vigil's Meadow) before the presence of Railroads. It is believed that the town that began as Española was named by railroad workers. At the time of railroad construction, a small restaurant in the area was nicknamed 'La Española'. This was because of the large presence of Spanish women in the area. The name became official by 1900 and Española became a small railroad town. Before the railroads, this is where Spanish and Native American people had settled for hundreds of years, making a living from farming along the Rio Grande River. 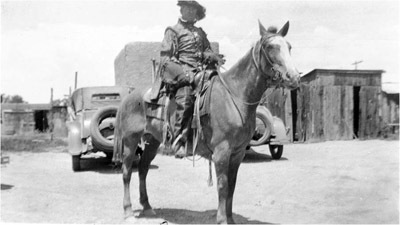 Española was founded in 1880, with the introduction of the Denver and Rio Grande Western Railroad. In early 1880, the famous railroad which ran predominantly through the Rocky Mountain region announced a route extension of its narrow gauge into northern New Mexico. The line was built along the Rio Grande, and later was known as the Chili Line. The route would extend into what today is the downtown Española area, and the railroad began selling lots of property in the area. Anglo merchants, mountain men, and settlers slowly filtered in to Española. The Bond family from Canada would later arrive in the city and with them came the state's largest mercantile. 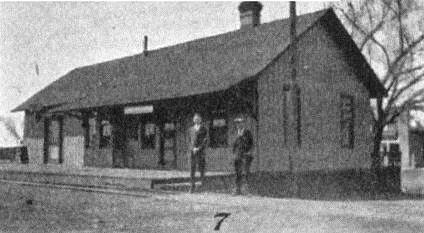 The Española station included an engine facility station along with a roundhouse and turntable so it could service the locomotives. The facilities were built but torn down or no longer in use after six years; plans for the town had changed. 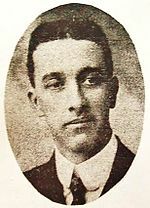 Frank R. Frankenburger a business man born in Ft. Scott, Kansas, was the first mayor, elected in 1923. 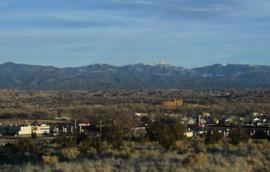 In 1925 Española was incorporated as a City. As the population rose, there was a high demand for public education in the city. Española High School was established; it would be the largest school in the area for decades. The first high school in the area, however, was Santa Cruz High School. 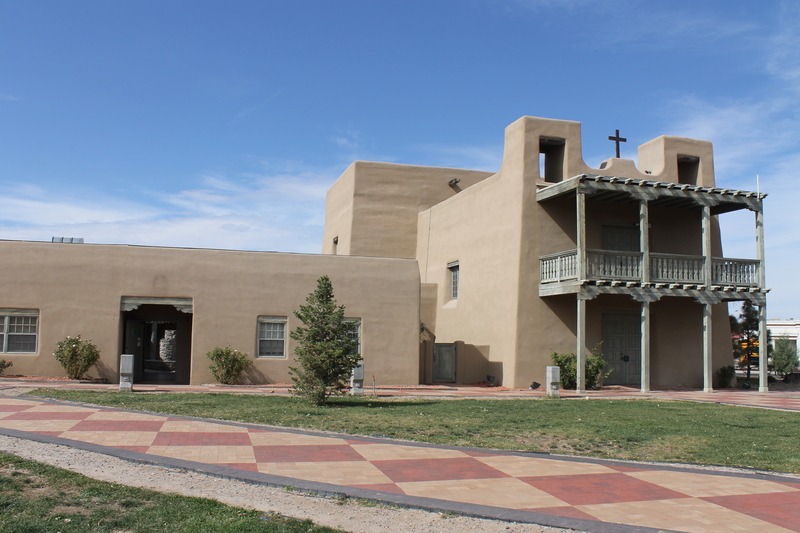 Two miles away from downtown Española, it opened in 1906 in the historic Santa Cruz area. (Today, both high schools are no longer in existence after a merger of school districts in 1975.) The existence of the railroad began to dissipate as minimal passenger traffic and low shipments forced the railroad to close in the early 1940s. 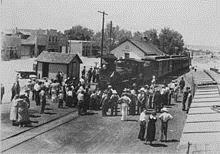 Many locals would become unemployed and would follow the railroad to Santa Fe, Albuquerque and central Colorado for jobs. Española's population would fall dramatically and many homes in the downtown became abandoned. Most of the locals who remained would turn to farming as a way of life. Many people saw Española as another failed railroad town.The city removed the railroad tracks and the train depot the 1960s, and the existence of railroads completely vanished. Española, the first being the 'Big Rock Shopping Center', founded by oil tycoon Roy Honstein. With the beginnings of Manhattan Project in the nearby city of Los Alamos, many locals would find jobs at the Los Alamos National Laboratory,which would later employ nearly 9% of Española's population.